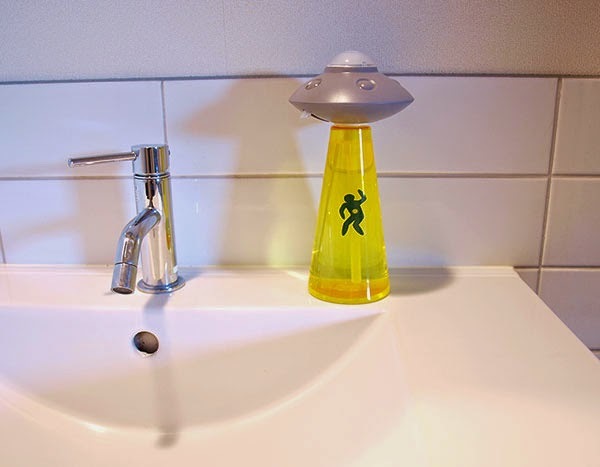 A fun soap dispenser in the shape of a UFO with tractor beam by British designer Duncan Shotton. 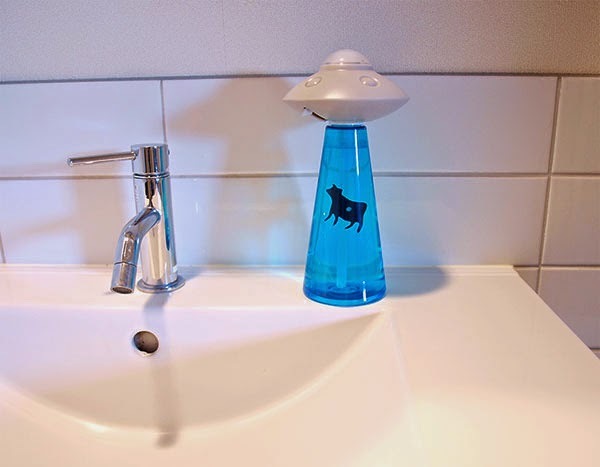 The soap pump comes in two colors, yellow or blue, with either a human or cow caught in mid-abduction. 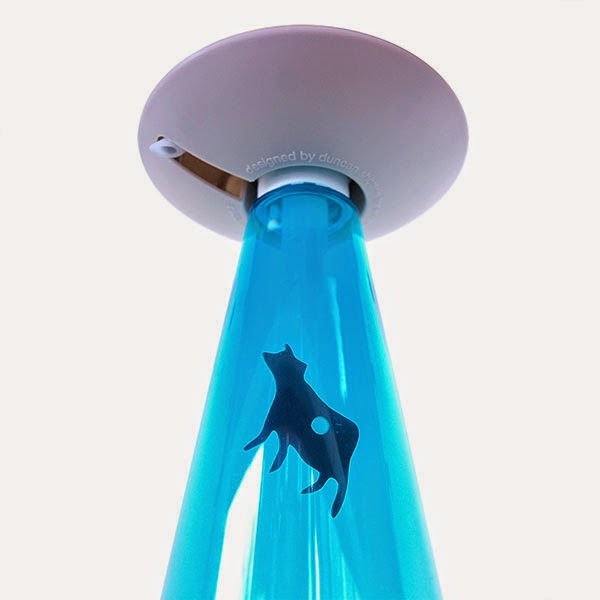 My mission is to create products that engage users emotionally, promote happiness and ensure people love what they’re doing, wherever they are and whoever they're there with.